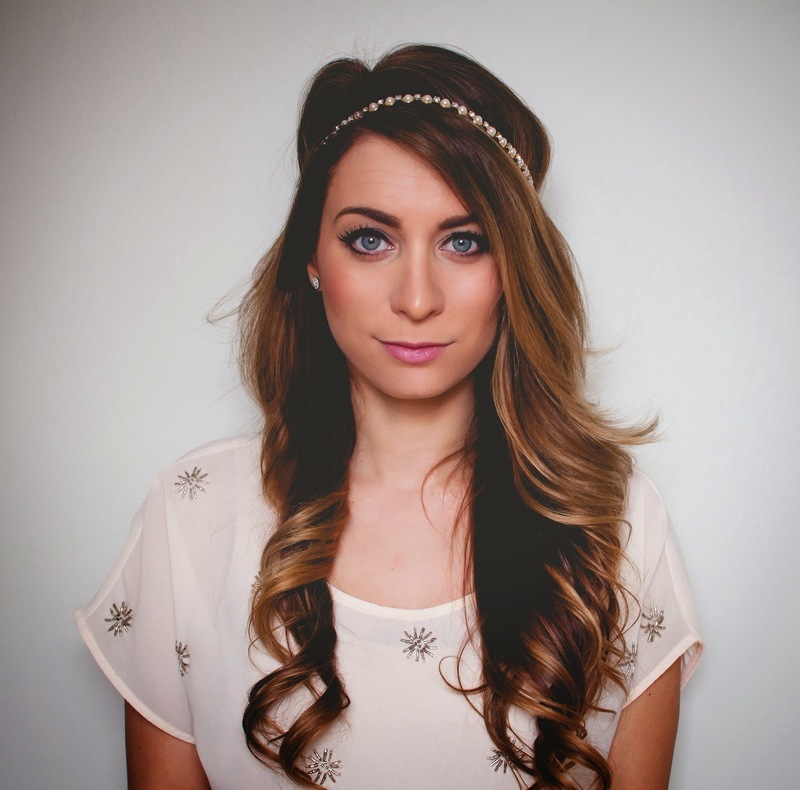 Quick and Easy, Romantic Hair Wrap Tutorial | La Petite Noob | A Toronto-Based Fashion and Lifestyle Blog. Start with brushed out hair. As with any up-do, second or third day hair works best as the natural oils help to hold the style in place. I especially like to throw this hair wrap together after my hair's been curled - the added texture also helps to secure hair in place. 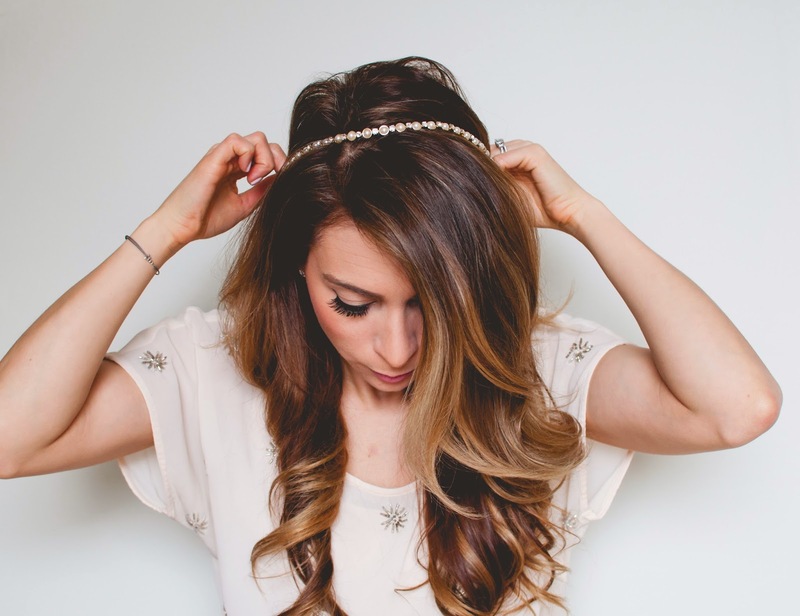 Secure a thin headband in place around the crown of your head, over top of your hair. 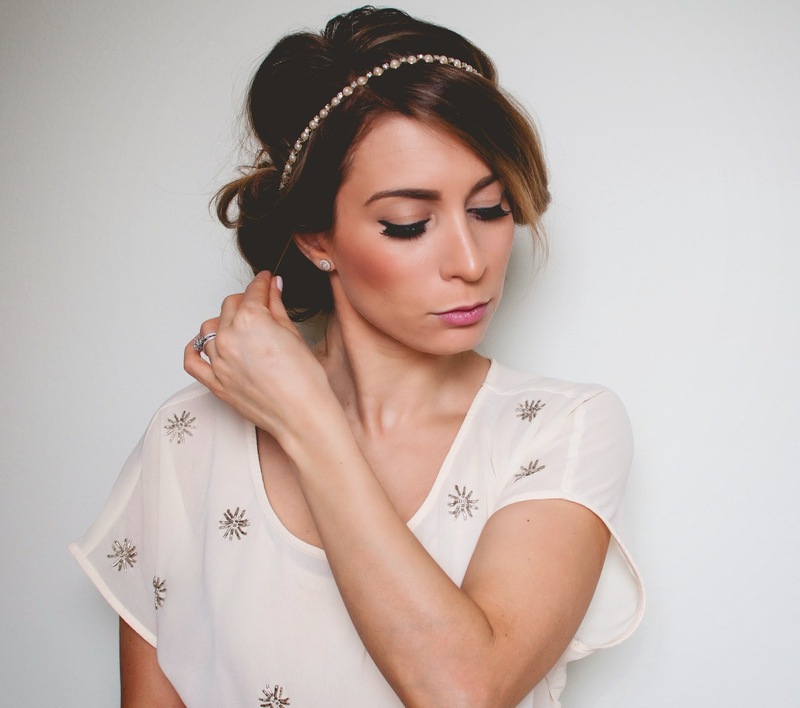 Using a jewelled headband helps to add to the dressiness of the style, but a plain one will do fine for casual days. The headband must go all around your head and be quite secure - adjust the length if need be to get a good fit. Start taking inch-wide pieces of hair, and wrap them around the elastic of the headband - starting with the pieces closest to your face and working away. Don't worry about being too precise - as long as you get the entire piece of hair wrapped into the elastic, it will look great! Just to give you an example of how simple this process it, I usually do it without using a mirror. Once you have one side completed, start wrapping the other side of your hair into the elastic of the hairband - again moving from your face outwards. Once you are completely finished, I like to start deconstructing the look a bit - pulling out tiny tendrils of hair from the headband to give the style a more loose and romantic feeling. 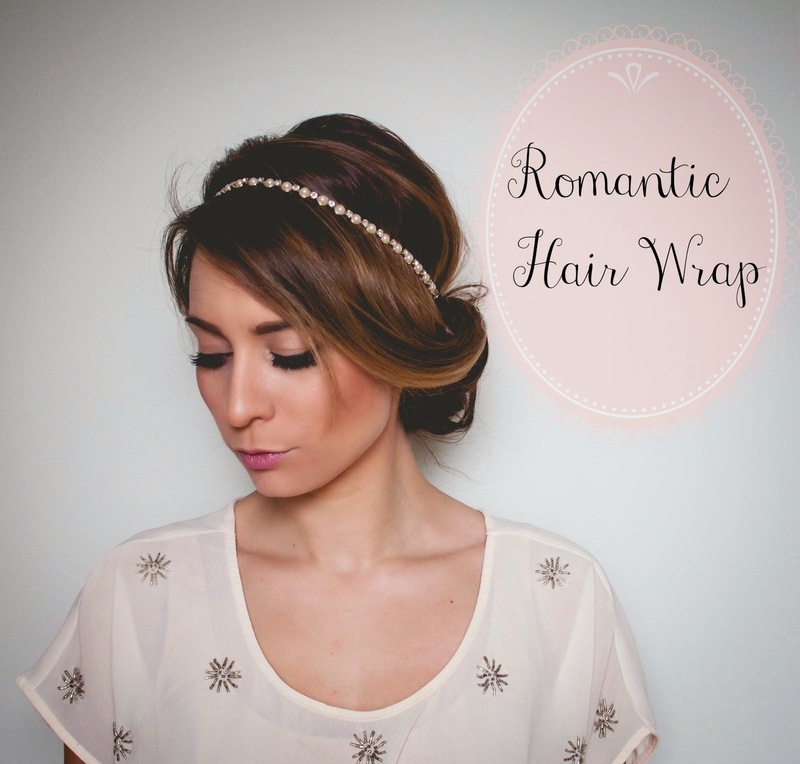 Once you have your romantic hair wrap as you like it, use a little hairspray to hold everything in place. This part is totally optional, and I typically hate hairspray (as you can tell by my expression in the photo) but it really does help to hold the style in place and keep your hair from falling out of the headband. All done! 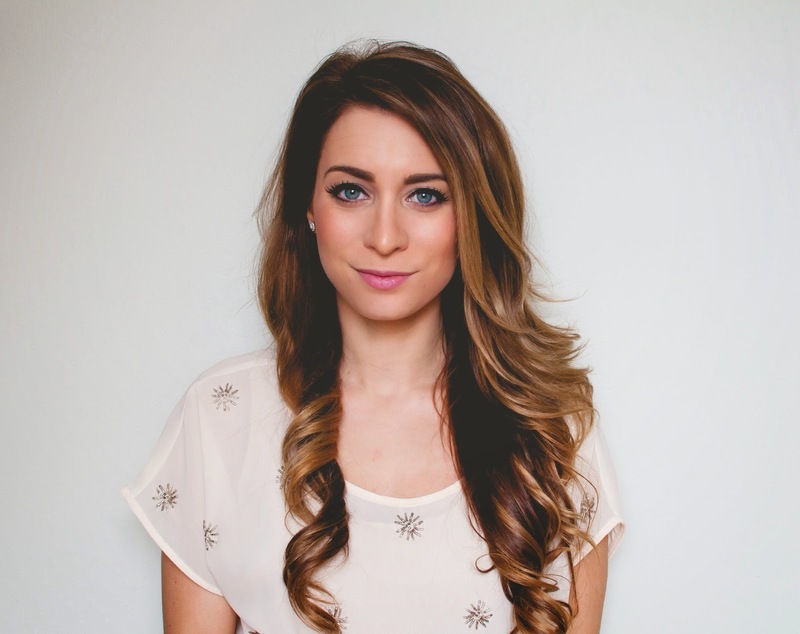 I love the instant bohemian and romantic element this hairstyle adds to any look - perfect for the entire summer season, or any upcoming music festivals. Can you see yourself trying the romantic hair wrap? Here's to summer arriving sooner, rather than later! I love this hairstyle too. It's easy to do and doesn't take much time. Looks good on you! Thank you Lenny, you're too sweet! Beautiful, and OH MY GOD that top. So cute!